They sit on the edge of the Atlantic Ocean, standing on guard, relatively unchanged since the last ice age: most people not even aware they are there. They are the 100-plus islands along the Eastern Shore of Nova Scotia, known now as the 100 Wild Islands coastal wilderness. The archipelago is a natural national treasure, one of the last remaining intact, ecologically rich island groups of its size in North America. One wonders how their names developed—Wolfe, Psyche, Stoney, Sheet Rock, Charles, Tuff. The 530-acre Borgles Island is one of the largest in Nova Scotia. Looking southeast to the Atlantic, past Middle and Outer Islands. The hand of man is light here—one might find a small camp tucked into a wooded setting, or a clearing for family picnics. Seabird, songbird and shorebird colonies have carved out their home territories. We don’t yet know the number of plant species that exist on the land, bogs and salt marshes. We do know that all the islands and their resident wild species deserve protection. If we’re not willing to do that now, the alternative may be to lose them forever. 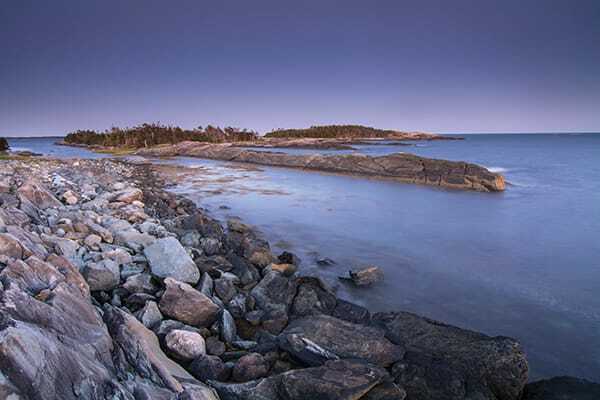 The Nova Scotia Nature Trust has taken on the challenge of protecting these Eastern Shore islands that lie between Clam Harbour and Mushaboom. The mission of the Trust is to protect Nova Scotia’s natural legacy through land conservation. This is achieved through collaboration with other non-governmental organizations, government, private individuals and the general public. The Trust is made up of a small professional staff and a large number of dedicated volunteers. In the early 90s, the United Nations initiated the Convention on Biological Diversity, a plan to protect a percentage of land and water in the world. In 2010 the global agreement was revised to protect 17 per cent of the world’s terrestrial land and strive for protection of 10 per cent of marine areas. Canada was a signator to the agreement. The initiative of the Nature Trust to protect the 100 Wild Islands coastal wilderness came about rather serendipitously. About seven years ago, Cole Harbour native Paul Gauthier wanted to buy a piece of coastal Nova Scotia large enough for cottages for his family and a couple of friends. He could not find a suitable chunk large enough. Perhaps the Nature Trust might know something, thought he. The random phone call connected him to Bonnie Sutherland, the executive director—and smack into her enthusiasm, passion and determination to acquaint everyone with the need to protect our natural surroundings. Bonnie dangled the bait, and Paul enthusiastically took it. Initially, the islands were explored ostensibly as cottage possibilities, but the original purchase idea evolved instead toward conservation and protection. Bonnie and Paul were soul mates in this respect. Quiet discussions took place with landowners. Some made outright donations of their properties, given their faith in the Trust, and purchase prices were negotiated with others. The province agreed to protect all the islands owned by the Crown. It was deemed that $7 million was needed to fulfill the purchase and protection requirements. An anonymous donor contributed $3.5 million and agreed to match dollar for dollar additional money raised. The fundraising campaign began and donations came in. 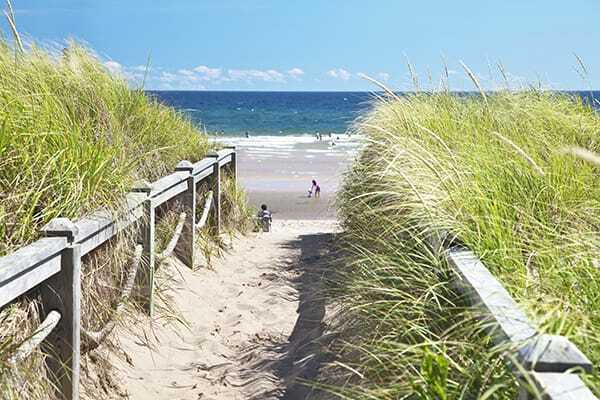 The Eastern Shore of Nova Scotia (sometimes known as “the forgotten shore”) is special—it is scenic, sparsely populated, and weather unpredictable. For some, that’s its attraction. Sometimes it’s sunny with warm breezes from the land. At other times it’s wild and windy. Foggy days are mystic—clean air in your lungs and saltiness on your tongue. There’s no shortage of local passion for the islands. Anyone familiar with them embraces them with the ardour of a new lover. Brian Murphy, owner of Murphy’s Campground in Tangier (on Murphys Road near Murphy Cove), expounds enthusiastically about the islands. He comes from a long line of Murphys who have been in the area since 1765—they aren’t moving! Brian, like many others along the Eastern Shore, doesn’t want to see major development in the island area. Their white sand beaches, bogs and marshes, and seabird colonies need to stay the way they have always been. Scott Cunningham, owner of Coastal Adventures, has run daylong sea kayaking trips among the islands for almost 35 years. He suggests that while development is desired to bring new people and new jobs to the region, small and complementary businesses are apt to be more successful over the long haul. The vision of the Nature Trust is to keep the islands as they are, with a mandate to encourage more people to experience them—but the Trust doesn’t envision managing the Bay of Islands as parkland. Instead, users will be expected to exercise stewardship, to treat an island stop as they would their home. 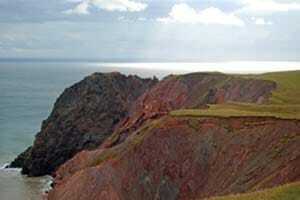 The Nature Trust calls us to action to help protect these islands (as only its most recent project). They are in our backyard, Canada’s treasured East Coast. Other than from exposure to the elements, they’ve been pretty much unchanged since before human contact. If you are feeling so inclined, the Nature Trust will gladly accept your donation, large or small. To take liberty with an old expression—donate your pennies and the dollars will take care of themselves. A large volume of small donations can result in a fair sized pot of money. So, how long has it been since you’ve taken a day or two to be by yourself or with a few friends in nature? The Bay of Islands is a paddler’s paradise. Got a canoe or a kayak? Strap it on your car and head down. Picture yourself travelling with the porpoises or creeping up on a basking seal. Take your bird book and a camera with you! 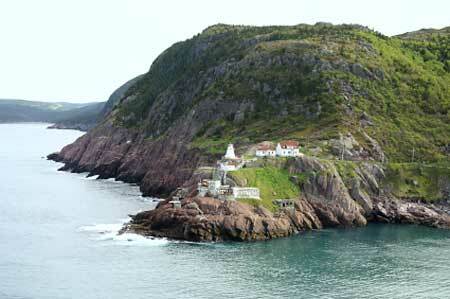 This hike is well named since it gives a spectacular view of Cupids, Newfoundland and the surrounding area.